This week’s Israeli creation doesn’t really need an introduction. Balkan Beat Box (BBB,) is one of the most famous Israeli musical groups in the world, and chances are you already know all of their big hits, even if you’ve never actually heard of them before. Balkan Beat Box was founded by Tamir Muskat and Ori Kaplan, with Tomer Yosef as a core member. 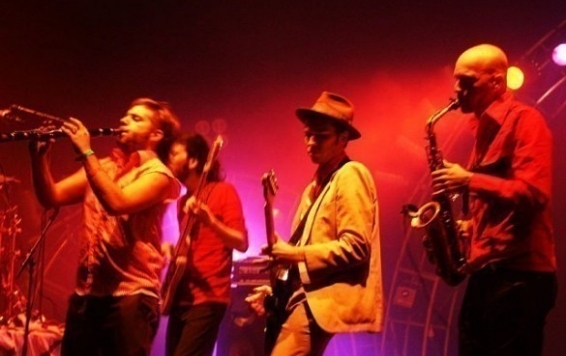 The group plays Mediterranean-influenced music that incorporates Jewish, Eastern European (mainly Balkan) and Middle Eastern traditions, Gypsy punk, and Electronic Music. The group released its first, self-titled album in 2005, and their follow-up album, Nu Med, was released in 2007. Both received global acclaim, but nothing truly prepared the BBB to the success of their next albums, Blue Eyed Black Boy (2010) and Give (2012.) Key tracks such as "Bulgarian Chicks,” “Move It” and “Dancing With the Moon,” became extremely popular in clubs worldwide. You can follow Israelife on Facebook here, and enjoy updates on the day-to-day life in Israel.